Heart attacks pose a greater threat to women than to men. A team at the Technical University of Munich (TUM) has determined that in the first year after a heart attack women are subject to a significantly higher mortality risk than men with similar case histories. The scientists are urging doctors to provide intensive support to female heart attack patients, above all in the first 365 days after the event. Heart attacks are still seen as a disease that primarily affects men. That is true in the sense that men account for around two-thirds of patients hospitalized after suffering a heart attack. Studies in recent years have shown, however, that women have a higher incidence of death from heart attacks and their consequences. One reason for this is that women suffer “different” heart attacks: Statistically, they tend to be 10 years older at the time of the infarct and are more likely to have accompanying conditions such as diabetes. Moreover, it is less common for heart attacks in women to be triggered by a local narrowing of blood vessels that can be widened relatively easily. 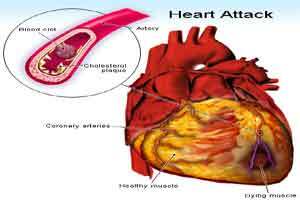 Instead they suffer more often from diffuse coronary artery disease. In these cases, local ablation procedures have less chance of success. Dr. Romy Ubrich, the first author of the paper, explains the approach: “We wanted to find out whether the mortality risk of female patients after a heart attack is still higher after adjusting for those factors.” The research drew on patient data collected in two studies (“ISAR-RISK” and “ART”) with a total of 4,100 participants. There are a number of possible reasons for this. The last author of the study, Prof. Georg Schmidt, a cardiologist at the internal medicine unit at TUM’s university hospital Rechts der Isar, believes that societal and psychological causes play an important role. “In everyday life, women often face different expectations after a heart attack than men. They are expected to start ‘functioning’ again sooner, which means that they are subject to bigger stresses,” says Georg Schmidt. Another important factor is the prevalence of depressive conditions. Studies have shown that such conditions are not only dangerous in themselves but are also a risk factor in combination with other illnesses.